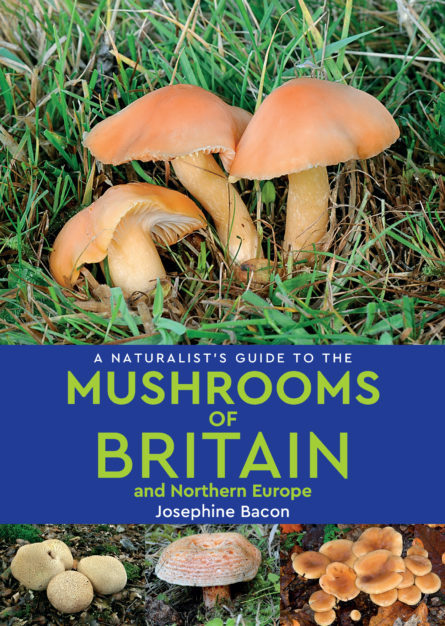 A Naturalist’s Guide to the Mushrooms & other Fungi of Britain & Northern Europe is a photographic identification guide to 280 most commonly found species of mushroom and toadstool. The user-friendly introduction includes an overview of distribution, habitats, mushroom structure and nomenclature. There is useful advice on mushroom hunting, where to find mushrooms which are good to eat and their nutritional value, and how to identify and avoid poisonous species. Josephine Bacon has been picking wild mushrooms since she was nine. Fired with enthusiasm for fungi by her natural sciences teacher at school, at the age of sixteen, she joined the British Mycological Society. She has a collection of 500 books, old and new, about fungi and has participated in many forays. Joesphine has translated four books on fungi from French, and has written several articles about wild mushrooms. This is her first book on the subject. About the photographer Paul Sterry is one of the UK’s leading wildlife and natural history photographers, with more than 40 highly successful books to his name. Originally trained as a biologist, he uses his knowledge of natural history and ecology to take images that serve to depict wildlife in a natural context, and to celebrate its beauty. Size 180 x 128mm / 7” x 5”. Extent 160 pages. 40,000 words approx. c300 colour photographs.